It’s time for another Book Sale! This one is always our favorite. 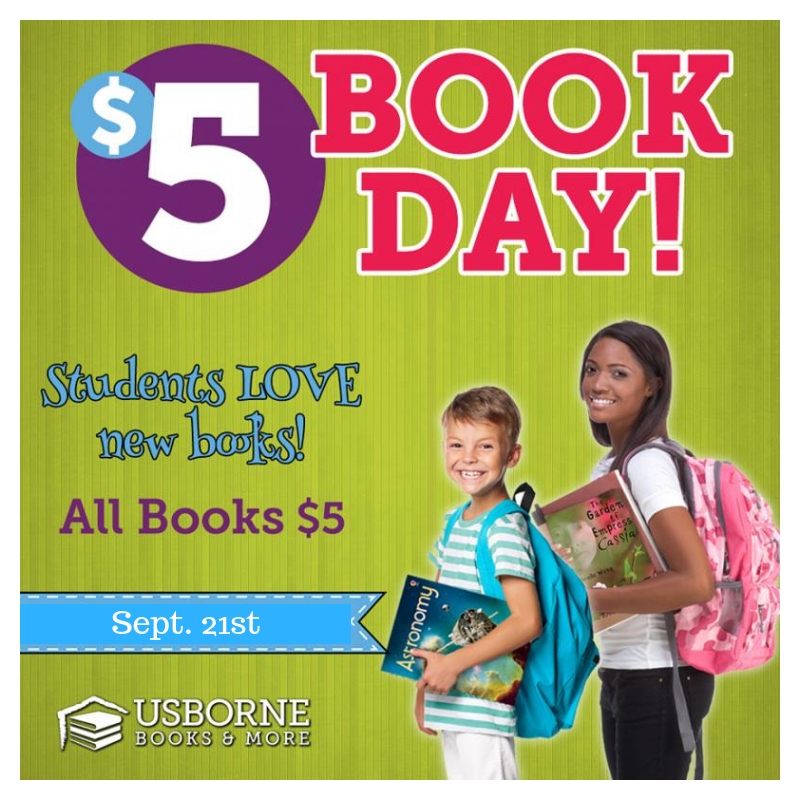 Bethany, our Us borne book rep., will be bringing in tons of Usborne books for us to shop from. She has informed me that there are some new series out that are just phenomenal! Remember, all books are $5 each. If you would like for your child/children to shop the sale, just look for a white envelope with the label $5 Book Sale to come home next week. Just add the amount of money you wish to be spent along with student and teacher names and send back no later than Sept. 21st. This sale is not just open to the students, parents and grandparents are welcome to come shop as well. Think of this as a great way to start working on that Christmas list or for stocking up on some good birthday gifts for family members and friends. In the next few days, I’ll post a schedule with shopping times listed.